In New Hampshire, when purchasing a car, you will need the necessary paperwork from the dealer in order to register and title the car in your name. You must obtain either a bill of sale or a vehicle title and submit them to the New Hampshire Division of Motor Vehicles (DMV) in order to register or title the car. Continue reading this article to get more information about the paperwork required when buying a car in New Hampshire. 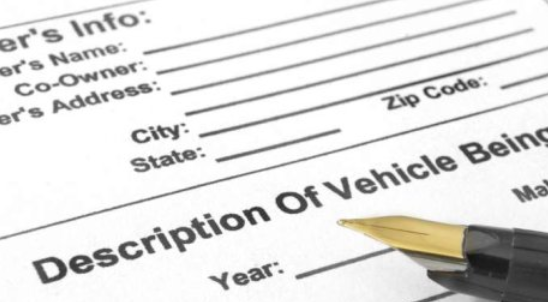 The vehicle title or a blue copy of the new title application from a New Hampshire car dealer. A bill of sale if the vehicle that you are buying is more than 15 years old and is title exempted. Proof of the vehicle identification number (VIN), such as New Hampshire registration. A title from New Hampshire or any other state. NOTE: VIN verification is required for certain categories of vehicles, including those purchased from out-of-state dealers without titles, vehicles purchased from out of United States and others. Both you and the seller must sign the current vehicle title, new title application and the bill of sale. Unless for title exempted vehicles, you shouldn’t purchase vehicles without a title. If the title is missing, lost or damaged, ask the seller to apply for a duplicate copy and give to you. Proof of your New Hampshire residency if you haven’t registered any car in New Hampshire. The bill of sale or vehicle title with proof of the Vehicle Identification Number (VIN). Payment of required fees: $25 title fee. Registration fees. $8 new license plate. Other additional fees and taxes. The registration for the license plate you are transferring. If you purchase a car from a dealer based in another state, they will not be able to handle the required paperwork for vehicle titling and registration on your behalf. You need to get a signed title and submit it to your local town or city clerk in order to register and transfer the vehicle in your name. You must take your vehicle for safety inspection within 10 days after the registration date. If the vehicle was manufactured in 1996 or later, you must also take it for an emission test. Any inspection must be conducted by a state-licensed inspection officer. A vehicle history report is an important report with detailed information about the car that you are about to buy. This document contains information such as accident history, damage details and other useful information. Without this information, it may be hard to determine the condition of the vehicle you are buying and end up buying a vehicle that you may end repairing the whole of your life. You can use a vehicle history report to verify the exact odometer reading of the vehicle you are buying.